Metallized Polypropylene(MPP) Capacitor are film capacitors with dielectric made of the thermoplastic, non-polar, organic and partially crystalline polymer material Polypropylene (PP), trade name Treofan, from the family of polyolefins. They are manufactured both as metallized wound and stacked versions, as well as film/foil types. Polypropylene film is the most-used dielectric film in industrial capacitors and also in Metalized Film Capacitor. 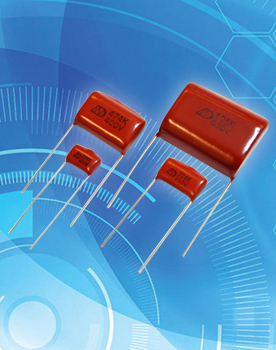 Commonly supplied MPP capacitors in DAIN are CBB21 225J 400V, CBB21 104J 450V, MPP 125J 450V, MPP 564J 450V, CBB21 155J 450V, CBB21 MPP 145J 400V and various others according to manufacturers application.